Time-based consequences can eliminate the opportunity for the student to address their problems. The Response-ability Process enables students to take responsibility for their actions and and to create solutions. Often an educator will attempt to speak to a student regarding behavior when the student is not yet ready to receive the information. Responsibility-Centered Discipline trains educators to recognize when students are unready to discuss an issue, and to offer those students time to cool off and prepare to move forward. Process is not a “consequence” or “punishment.” The objective is to teach students to recognize when they are too emotionally charged to make the best decisions and to get them to a point where they can handle situations in a positive manner. In high school, a teacher may offer a student time to get focused; students are also trained to ask teachers for a moment to themselves. If a student abuses the privilege, the teacher simply reminds her of the expectation. However most students will see this as an opportunity to keep the problem from escalating and to avoid the potential consequences. In middle school, the teacher may use a desk, bean bag or cubicle as an area where students can get focused. Once the student is ready to engage in a dialogue, he or she signals with a flag, a magnet or some other indicator. The younger the child, the more concrete the concept needs to be. Response-Ability Mats can be a useful tool for Pre-K through Grade 2. The child uses the first mat to regain composure, then moves to the second mat when he or she is ready to begin processing what happened and what he or she could have done differently. The child moves to the third mat when he or she is ready to work with the teacher. Time-based consequences can eliminate the opportunity for the student to address their problems. The Response-Ability Process enables students to take responsibility for their actions and to create solutions. "I have been to many trainings that paint an unrealistic picture of classrooms. 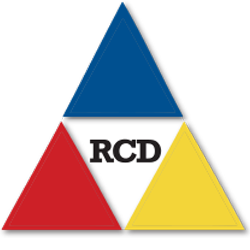 The RCD training provided real examples and provided real life strategies to handle the most difficult students." "The RCD training directly applies to the population I teach and provided me with techniques that will actually work and be useful to me." "I loved the practically and common sense approach of the program. The training was excellent and I can't want to get back into my school to use what I've learned!" "I now have specific steps and actions I can follow to deescalate students. I now feel prepared to handle challenging moments in my classroom."